The European Commission has kicked off a 4-year cross-European initiative to promote electromobility. The 42 partners in the initiative comprising industrial companies, automobile manufacturers, utilities, municipalities, universities, and technology and research institutions will input, exchange and expand their know-how and experience related to electric vehicles in selected regions within Europe. 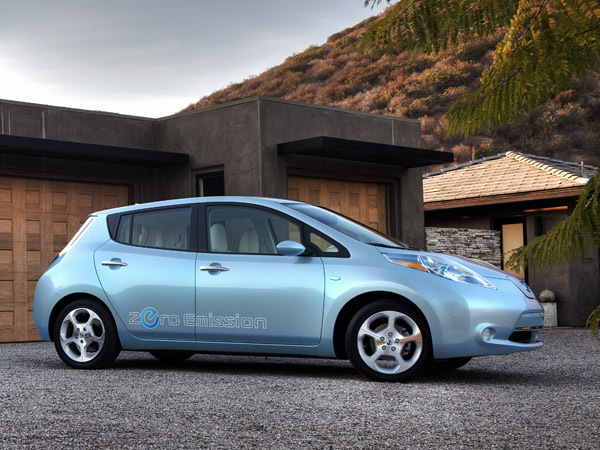 "Electromobility will make an important contribution toward reducing carbon dioxide emissions. Green eMotion is intended to ensure the fast-track success of electric vehicles," said Siim Kallas, Vice President of the European Commission, and Commissioner responsible for Transport. The project volume has been budgeted at EUR 42 million, of which the EU will contribute as much as EUR 24 million. The partners in the initiative are to accumulate experience with electromobility in existing and new test regions within Europe and refine the technology. Key issue is the development of European processes, standards and IT solutions that allow customers of electric vehicles easy and seamless access to charging infrastructure and related services throughout the European Union. Standardization is also the key factor for a fast and cost-efficient European rollout of electromobility. The total number of charging spots within the existing pilot regions will total more than 10,000, with nearly 1,000 to be installed in Barcelona, Madrid and Malaga, about 400 in Rome and Pisa, 3,600 in Berlin and 100 in Strasbourg. In Denmark, the country with the world's largest share of wind-based power generation, between 2,500 and 3,500 electric cars are to be put on the road over the course of this year with as many as 4,500 charging stations to be installed in Copenhagen and Bornholm. Furthermore, some 2,000 electric vehicles and approximately 3,500 charging stations are part of a nationwide rollout in Ireland. "The local concepts applied to date, in which experience was accumulated in specific test regions, will now be bundled in cross-European trials. The aim is to pave the way for electromobility throughout Europe. This will require standards for infrastructure, networking and IT," said Heike Barlag from Siemens, who coordinates the Green eMotion project. "By bundling individual activities in a major partner initiative we're gaining momentum and transparency, and ensuring the coordinated development of electromobility." Experience with cars, buses and two-wheelers with pure electric drive systems and hybrid vehicles will be gathered in the Green eMotion project. Special aspects in some of the test regions include battery swapping and DC charging, as well as smart grid integration, cross-border traffic, different payment systems and the testing of alternative business models. The partners in the Green eMotion Initiative include industrial companies Alstom, Better Place, Bosch, IBM, SAP and Siemens, the utilities Danish Energy Association, EDF, Endesa, Enel, ESB, Eurelectric, Iberdrola, RWE and PPC, the automobile manufacturers BMW, Daimler, Micro-Vett, Nissan and Renault, the municipalities Barcelona, Berlin, Bornholm, Copenhagen, Cork, Dublin, Malaga, Malmo and Rome, the universities and research institutions Cartif, Cidaut, DTU, ECN, ERSE, Imperial, IREC, TCD and TECNALIA, and the technology institutions DTI, fka and TÜV Nord.